DENVER -- Marijuana use by pregnant or nursing women might seem like a no-brainer of a bad idea, but a proposal in Colorado to step up such warnings is raising concern because of limited or inconclusive research on the dangers. Pot users in Colorado and Washington already receive warnings that the drug shouldn't be used by pregnant and nursing women. But a Colorado bill facing its first hearing Tuesday proposes going further by requiring pot shops to post signs saying that maternal marijuana use poses risks to unborn children. "It's important to have notification that there is risk," said Republican Rep. Jack Tate, sponsor of the bill. The proposal is controversial. Some pregnant women use marijuana to ease nausea, and a marijuana industry group fears the warnings don't acknowledge limited research on pot use by mothers-to-be. Tyler Henson, president of the Colorado Cannabis Chamber of Commerce, called the proposal "another attempt to discredit and ignore the popular public opinion of marijuana's medicinal use." A Colorado health report issued this week notes that marijuana's psychoactive ingredient, THC, is passed to children through the placenta and breast milk. 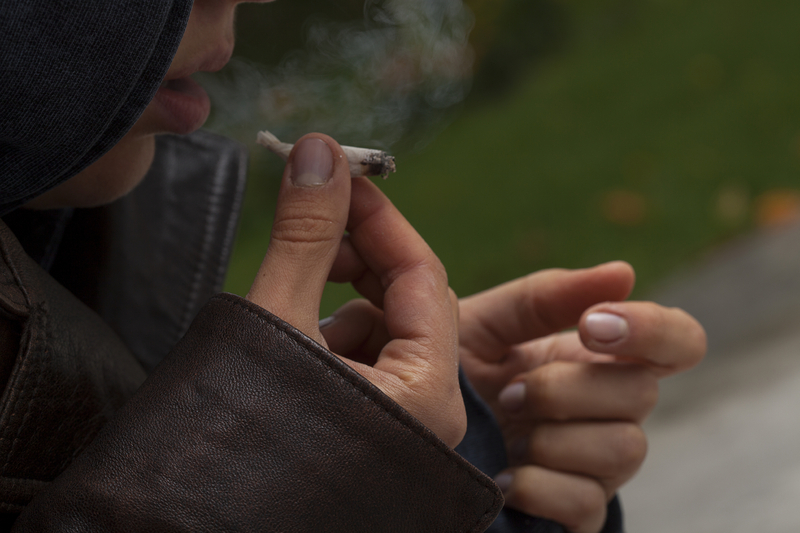 But the doctors who compiled the survey of existing research also noted that the health consequences of that THC exposure aren't fully understood. - "Mixed" evidence that marijuana use during pregnancy is associated with low birth weight. Still, the doctors concluded, "There is no known safe amount of marijuana use during pregnancy." The report, released Monday, reflected national conclusions on marijuana's health risks. An American Academy of Pediatrics report in 2013 listed marijuana among the most common drugs involved in prenatal exposure that may pose important health risks, including possible behavior and attention problems in childhood. The National Institute on Drug Abuse says animal studies have suggested that smoking marijuana in pregnancy may harm brain development. But the institute also says more research is needed "to disentangle marijuana's specific effects from other environmental factors, including maternal nutrition, exposure to nurturing/neglect, and use of other substances by mothers." Colorado, one of four states that have legalized recreational use of pot, requires marijuana to carry labels saying, among other things, "There may be additional health risks associated with the consumption of this product for women who are pregnant, breastfeeding or planning on becoming pregnant." In Washington state, marijuana purchasers are given warnings that include the statement, "Should not be used by women that are pregnant or breastfeeding."